Oklahoma Connection | Thoburn first visited Oklahoma Territory in 1889, but finally settled in Oklahoma City in 1896. Joseph Thoburn “lived history.” He once nearly suffocated to death when he became so interested in uncovering some historical documents that he unwittingly found himself locked in a stifling room in the Colcord building in Oklahoma City. A true pioneer in the writing of Oklahoma history and the study of the state’s archaeology, Joseph B. Thoburn was born in Ohio and came to Kansas with his parents in 1871. He graduated from an agricultural college in Kansas in 1896 and settled in Oklahoma City that same year. 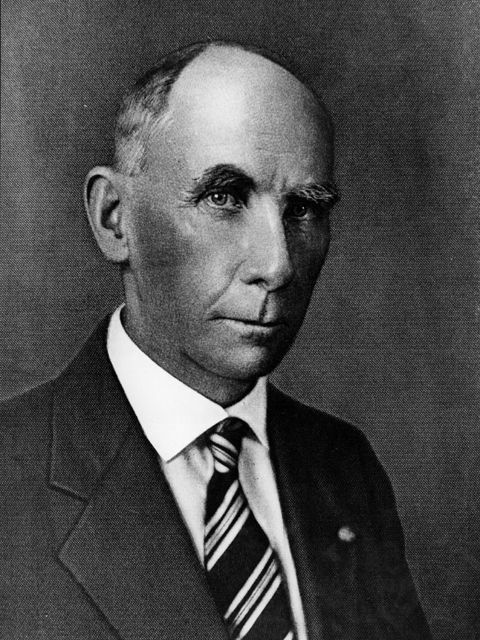 In 1902 he became secretary of the Oklahoma City Commercial Club and served three years as the first secretary of the Territorial Board of Agriculture. After statehood, Thoburn researched and published the first volume on Oklahoma history (1916) to be used as a public school textbook and served on the faculty of the University of Oklahoma (1913). In 1917 he joined the staff of the Oklahoma Historical Society and dedicated much of his work to the field of archaeology in Oklahoma. He wrote two comprehensive histories of Oklahoma, one with famous historian Muriel H. Wright in 1929. Thoburn was also the first to prove that the so-called “natural mounds” of eastern Oklahoma were actually ancient ruins of the members of the present Caddoan Indian tribes.